The throwers. 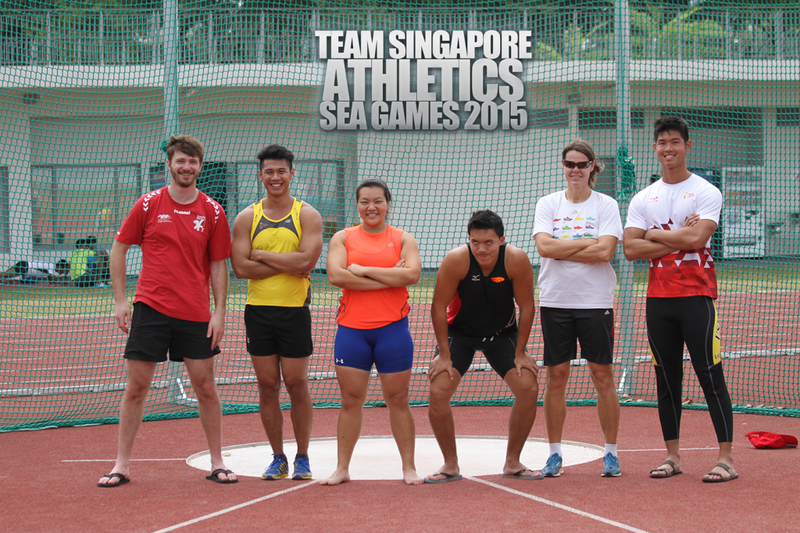 From L-R, Rapet Julien (Not part of the squad), Landdis Su, Hannah Lee, Wong Kai Yuen, Coach Jana Lauren and Benny Lam (Not part of the squad). This is Khan, Meng Linn. The 25-year-old has a long jump men personal best of 7.26m set last year. The hardworking groundsman at Kallang Practice Track. Say hi to them when you see them. 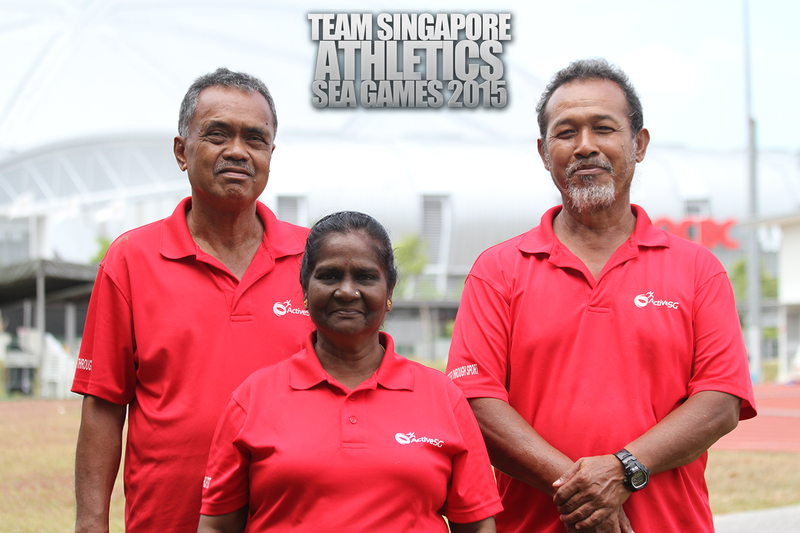 Coach Fabian Williams and his athlete, Wendy Enn. 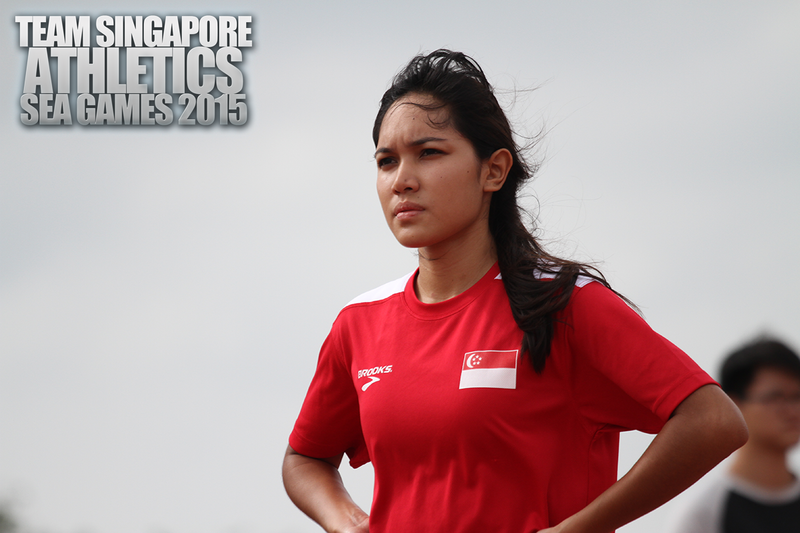 This is Nurul Jannah, her specialty is the women long jump who has a personal best of 5.68m in the event. The 23-year-old was featured in the Berita Harian today, so pickup a copy. 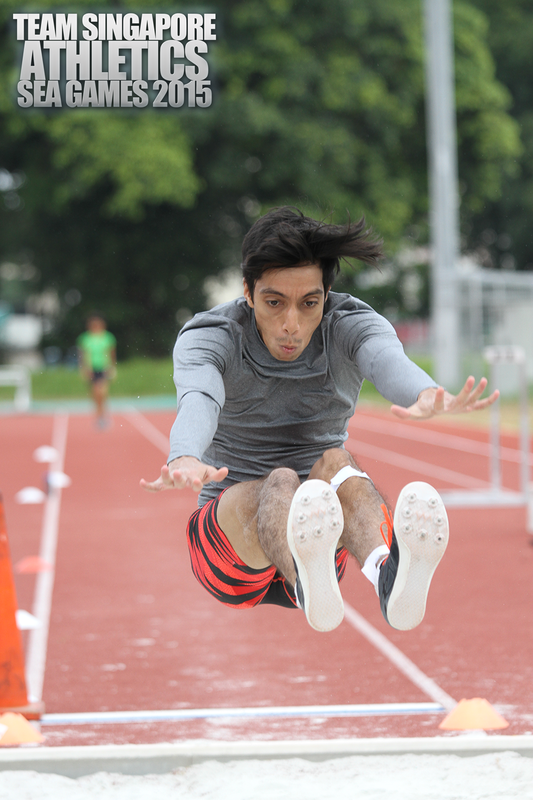 Zubin Percy Muncherji doing some laps. 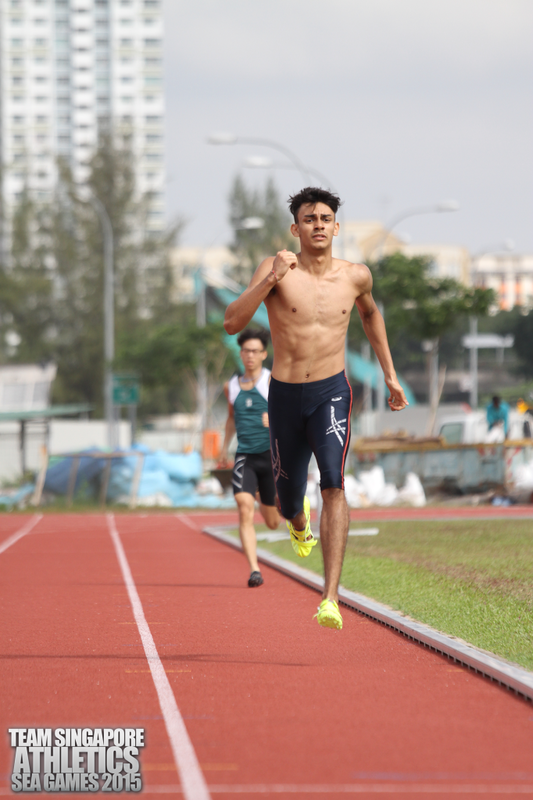 He was still a junior at the age of 18-years-old when he rewrote the men 400m national record with a timing of 47.29 seconds at the Asian Junior Championships last year. 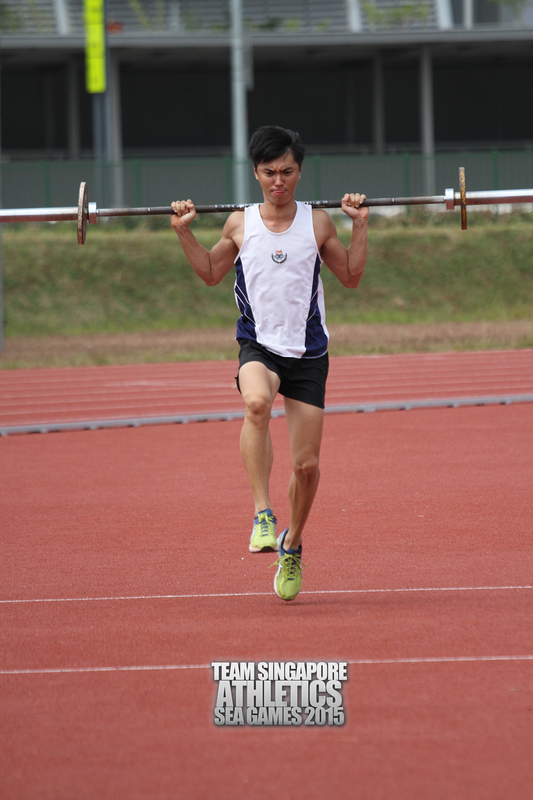 This is Khong, Zhi Wei, doing some functional weights exercise. 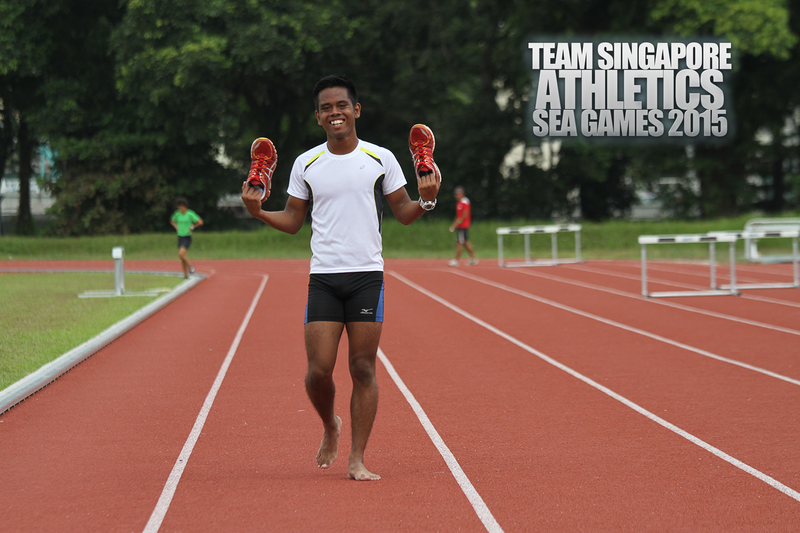 The 19-year-old is part of the current SEA Games training squad who has a personal best of 50.28 seconds (IVP) in the men 400m event. 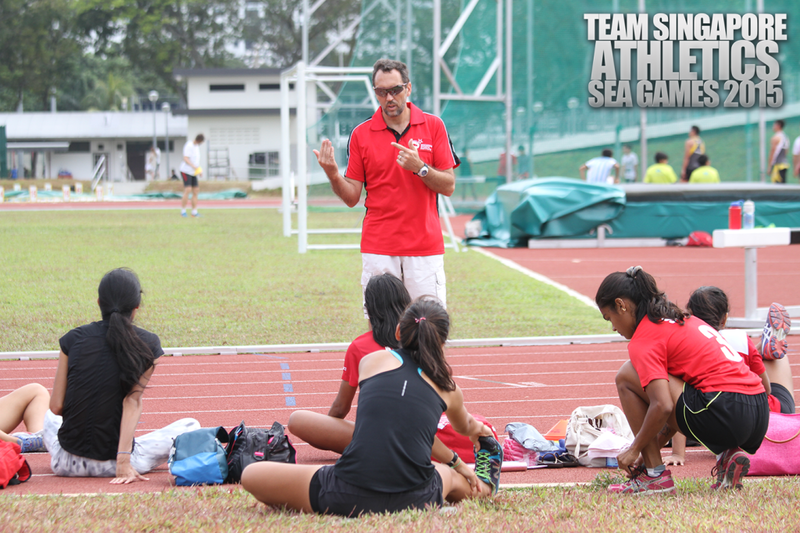 SAA Head Coach Luis Cunha imparting some instructions to the national women relay team. 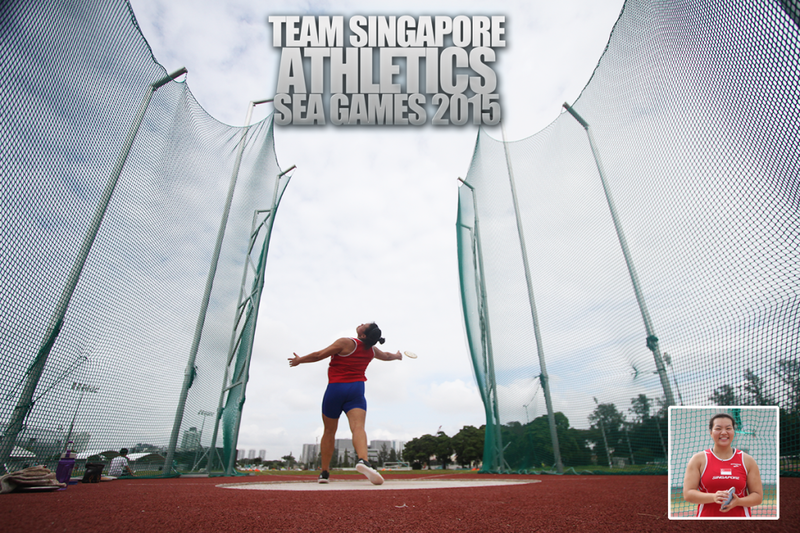 Women national discus thrower Hannah Lee has so far surpassed the SEA Games bronze benchmark five times for her event since the start of the qualifying period. Her personal best is 45.91m. 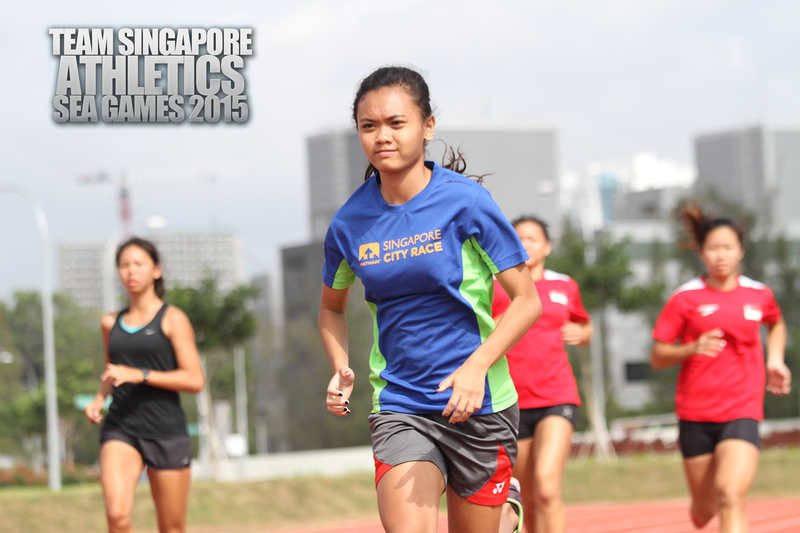 17-year-old Nur Izlyn Bte Zaini is part of the women national relay setup. The promising sprinter who hold the girls 100m hurdles youth record (14.34s) has a personal best of 12.61s in the 100m flat. 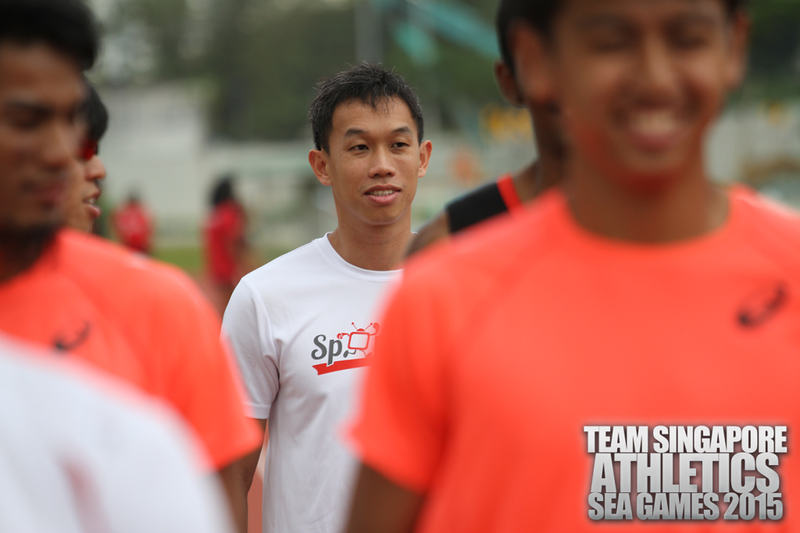 Veteran sprinter Poh Seng Song will be invaluable to the men national relay setup with his wealth of sprinting experience. The 32-year-old has a PB of 10.58s in 100m, 21.76s in the 200m and 49.86s in the 400m. 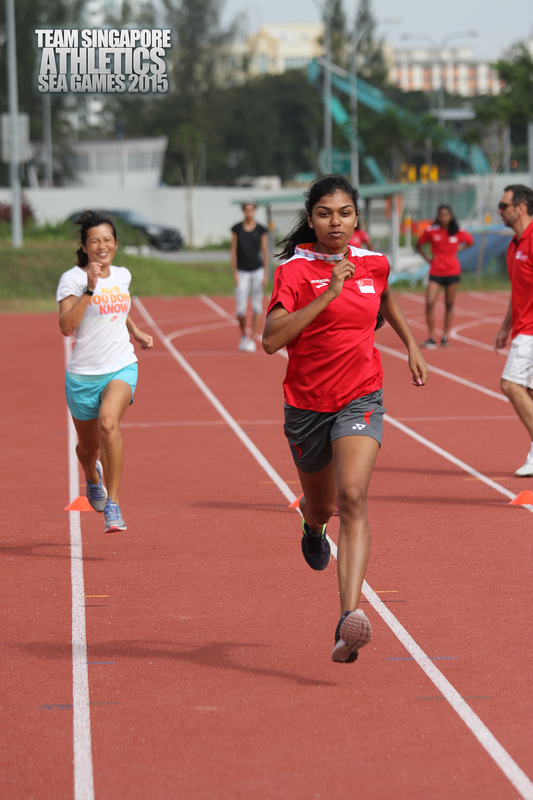 The pilot who recently married to fellow national sprinter Dipna Lim-Prasad, ran 10.70s last season. This is Muhammad Reyhan. 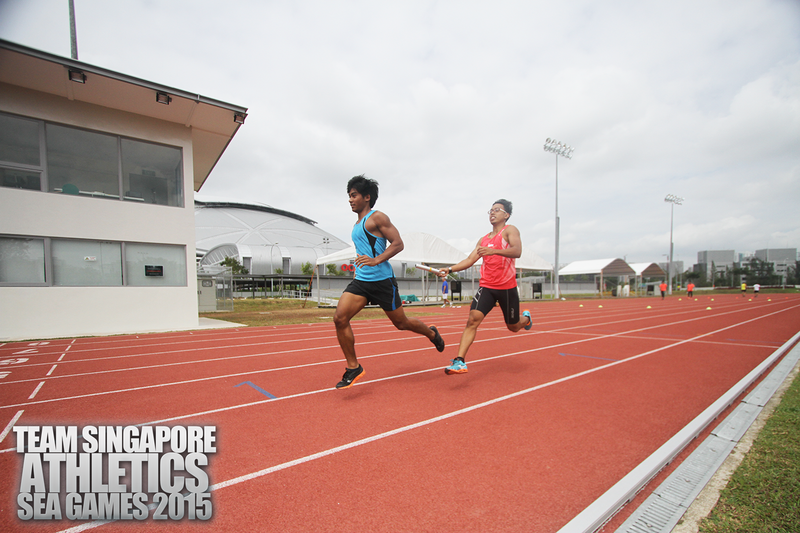 He recently achieved a personal best of 50.53 seconds in the men 400m event at the IVP. 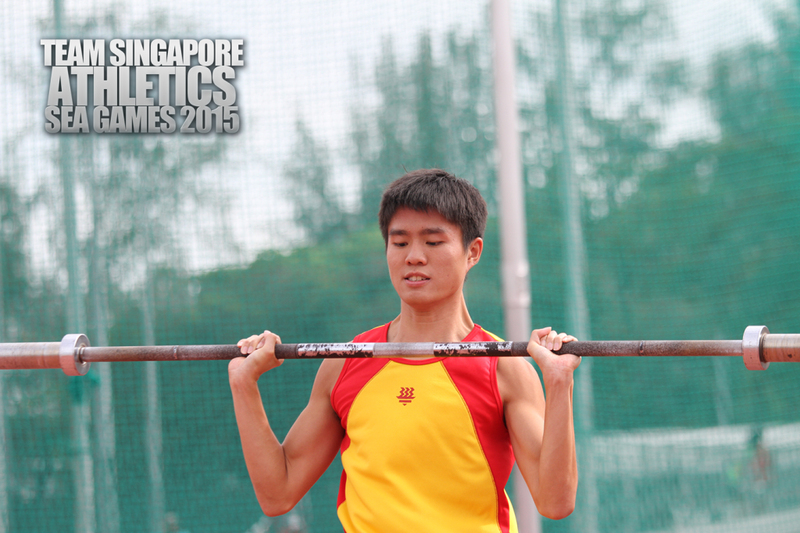 Seow, Yeong Yang, a freshman at NUS has a PB of 49.70s in the men 400m event. 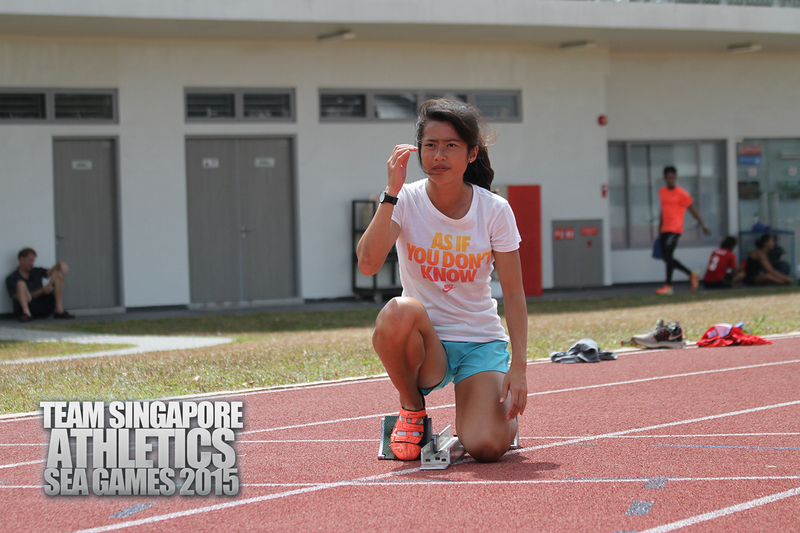 Sprinter Wendy Enn is gunning for her third SEA Games appearance. The 21-year-old has a PB of 12.19s (100m), 58.16s (400m). 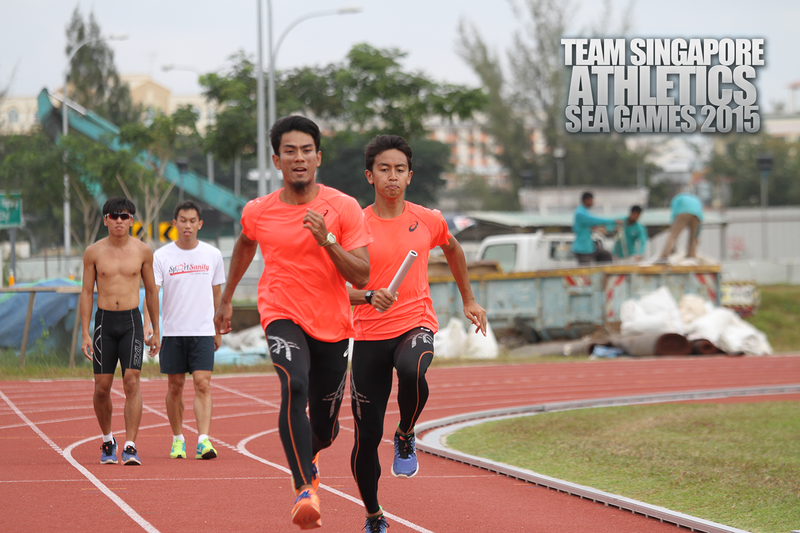 Joseph Yuan (100m PB 10.80s) and Lim Yao Peng (100m PB 10.89s) part of the national men relay setup. 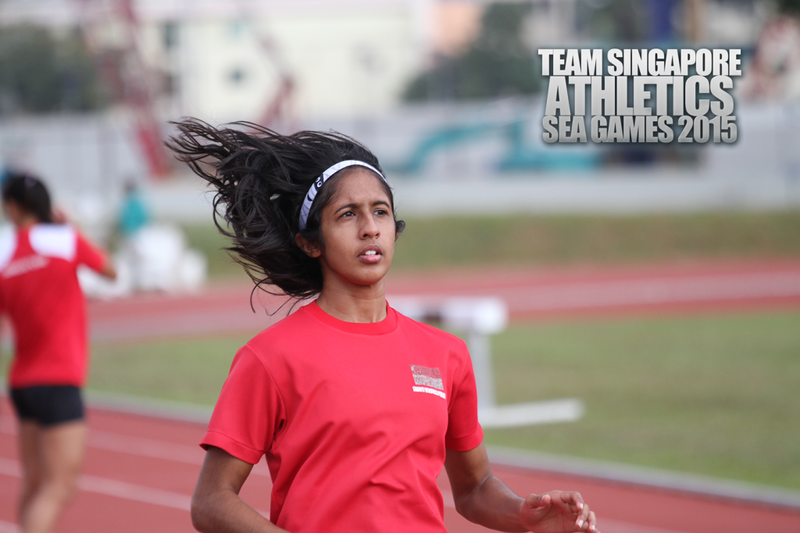 Our sprint queen Shanti Veronica Pereira hair looking wo wo wo! The still teen 19-year-old is our current women national record holder for the 100m (11.89s) and the 200m (23.99s). 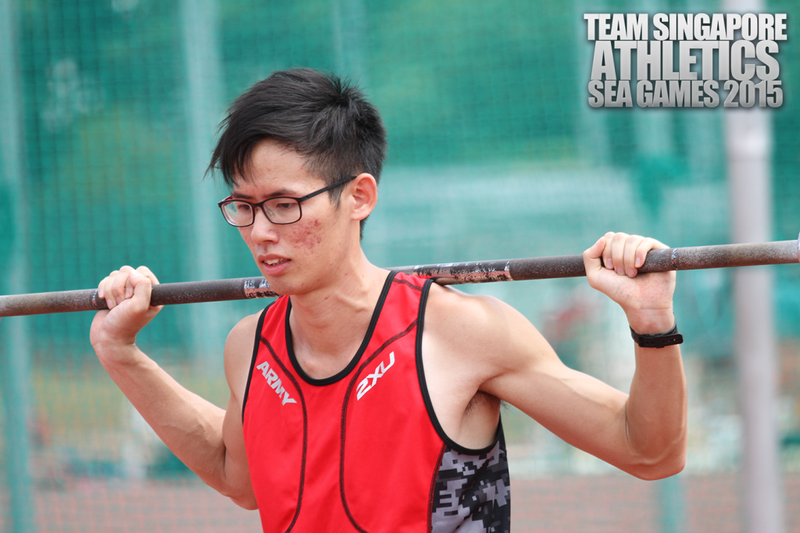 21-year-old Tan, Zong Yang has a PB of 50.26s for the 400m men. 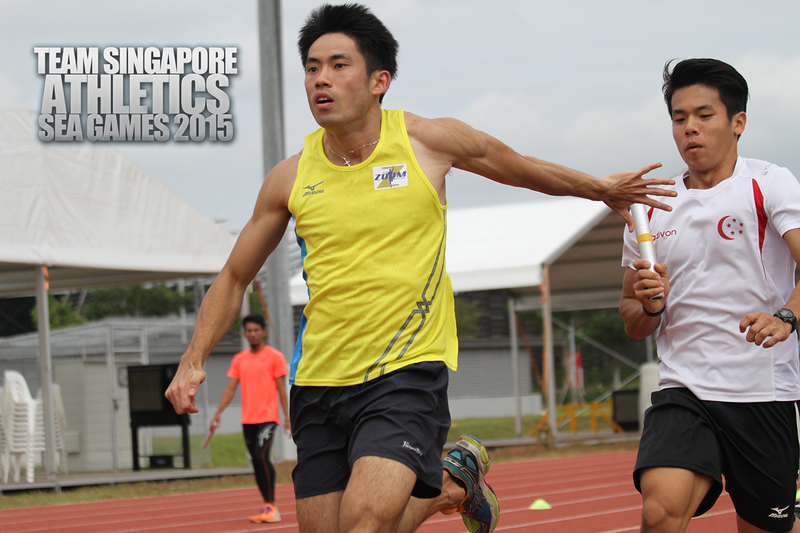 A baton exchange from Md Amirudin (100m PB 10.46s, 28yrs) to Ariff Januri (100m PB 10.85s, 21yrs). T. Piriyah, the 23-year-old undegrad has a personal best of 56.20 seconds in the 400 metres women. 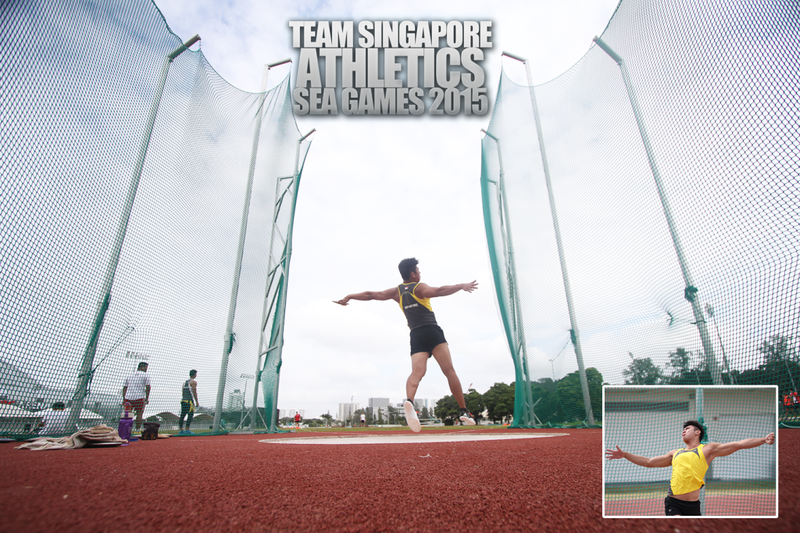 Su, Landdis landed a personal best in his pet event, the men discus throw recently at the IVP, a 44.62 metres effort. 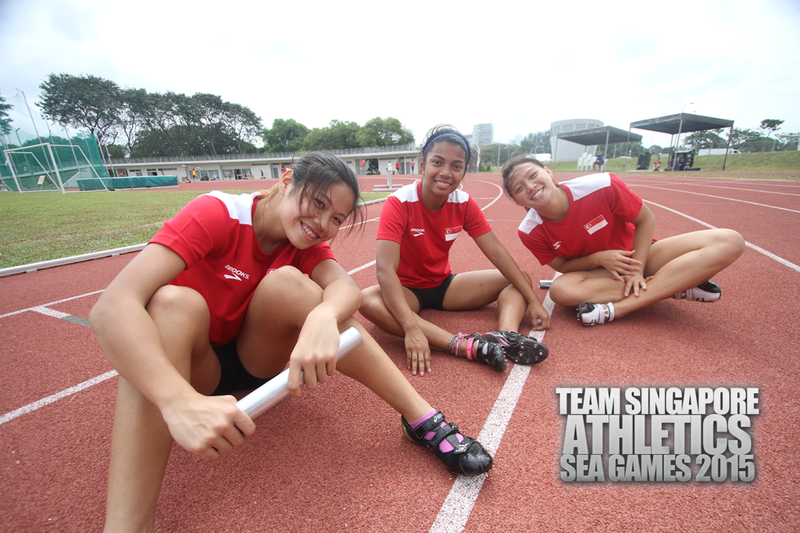 Ohai from (L-R) Kerstin Ong (100m PB 12.73s), Tyra Summer Ree (400m 59.17s) and Eugenia Tan (100m PB 12.36s). Want to look lean and mean. Join athletics. 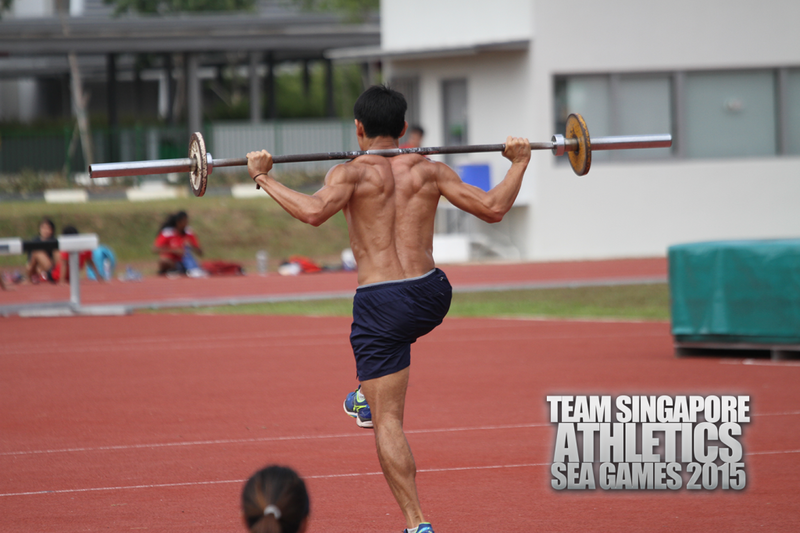 A very muscular tight back view of the evergreen quarter-miler capitan, Kenneth Khoo. Train at KPT.